Mrs. Mary Edith Dyers, daughter of the late Clarence Baker and Parthia (Fennie) Reese-Parker was born on March 25, 1937. At an early age, she professed her Faith in Jesus Christ and joined the Williams Grove Baptist Church. 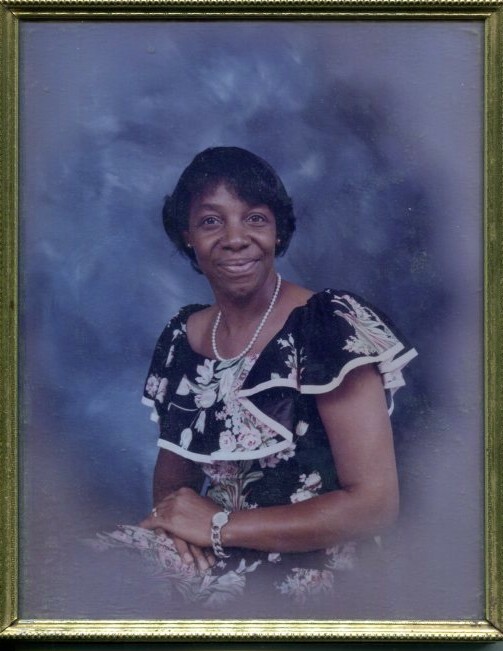 She was preceded in death by her mother Mrs. Parthia (Fennie) Reese, her three brothers, Bennie Lewis Parker, Bobie Parker, and Willie Parker Jr., her Aunt Lulu Bell Brown, her cousin/sister Ms. Cecilia M. Howard to whom she missed and loved. She was united in holy matrimony to Johnny Lee Dyers on November 6, 1953. From this union they were blessed with a son, Arthur (Ollie) Lee Dyers. Mrs. Dyers was an active member of the Usher Board. Her Christian Life was as beautiful as the world she loved so well, and her influence will forever remain in the lives of all who knew her. She quietly departed this life on September 15, 2018. She leaves to celebrate her life, her great aunt Daisy Tucker, her sister Mrs. Ella Kate, her brother Mr. Clarence Baker Jr, her son Mr. Arthur Lee Dyers, daughter in law, Mary Alice Dyers, her grandson, Brian Mack Dyers of Germany, her granddaughter, Rashonda Hawkins, a great granddaughter Quanta Renee Joshua one great-great-grand son Easton Joshua, and one great-great-granddaughter, Oaklynn Skye Joshua, and a host of devoted nieces, nephews, cousins, and friends.